Ok this gets written before I pass out completely from jet lag. I just got back from a trip to Amsterdam and Copenhagen with my sister and brother in law…and the jet lag is hitting HARD! But I had to extend the vacation goodness feeling and recreate this dish I had in Copenhagen. 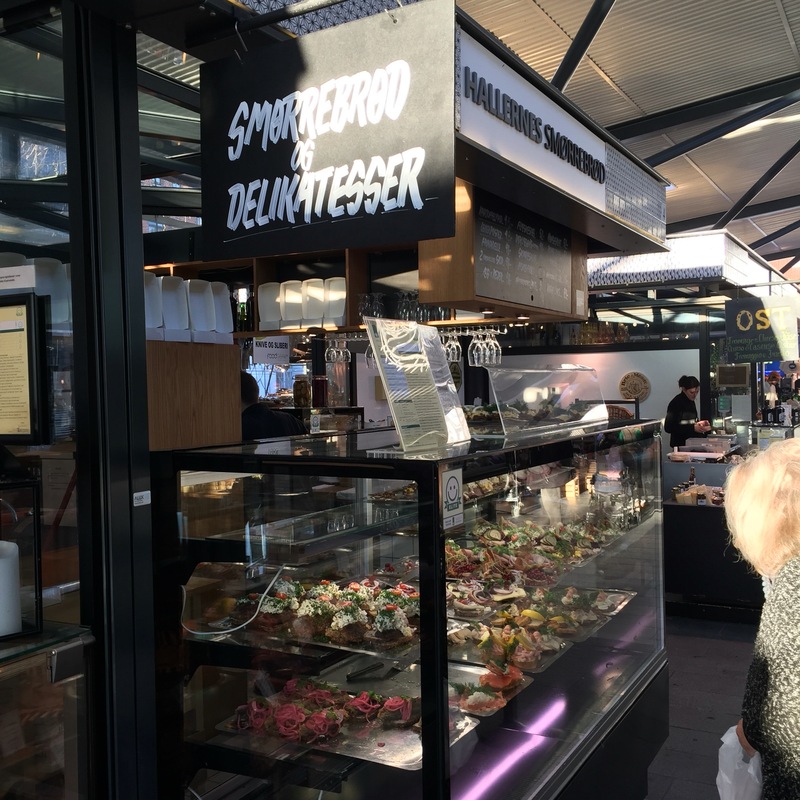 We were in Copenhagen and went for lunch to Torvehallerne, an epic set of food halls, for the second day in a row. First day was smørrebrød, which usually consists of a piece of buttered rye bread, a dense, dark brown bread and various toppings. SO GOOD! 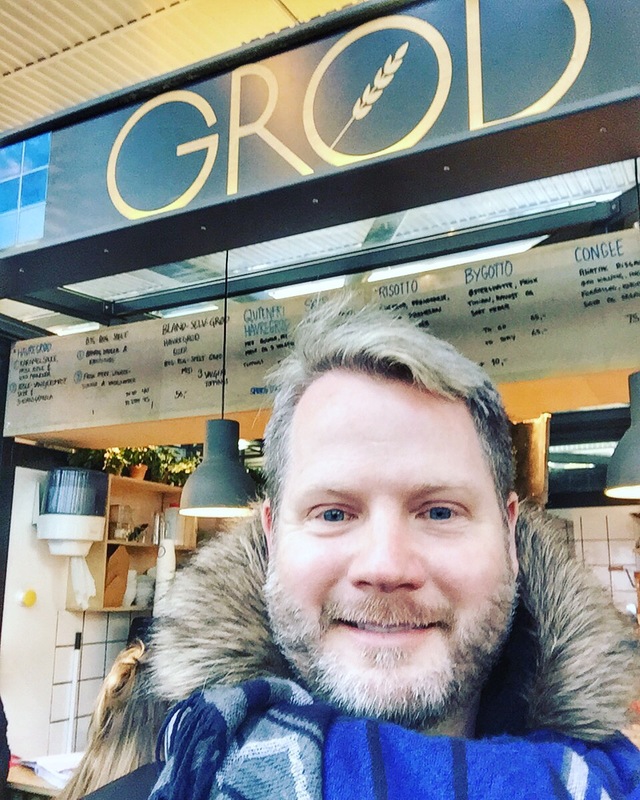 But on day two, I wanted to try Grød, the elevated Danish porridge place I heard so much about. 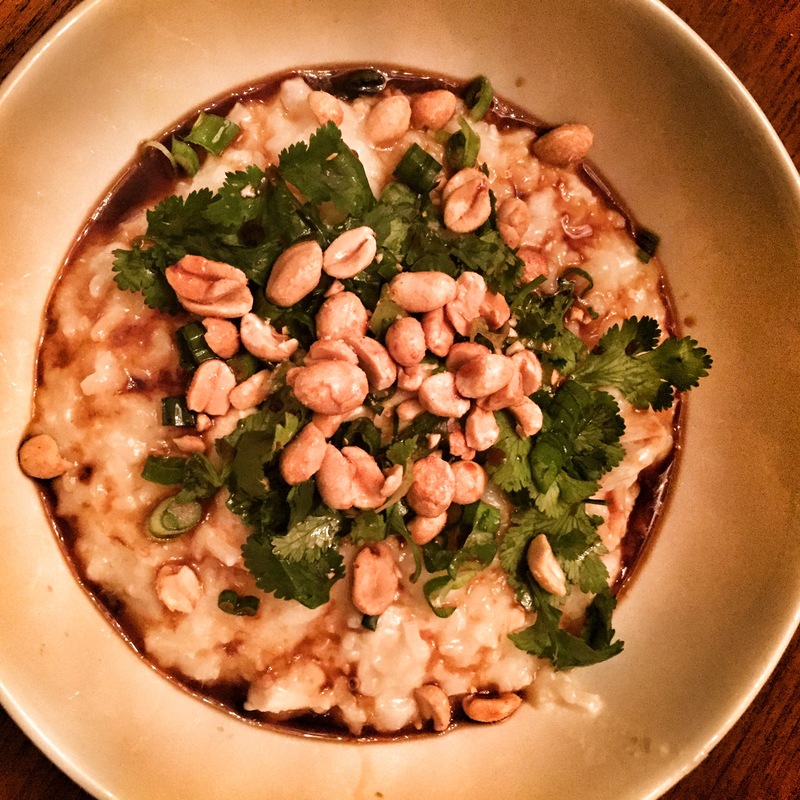 My choice of porridge is congee, a rice porridge. ABSOLUTE comfort food for me! As I waited for my congee, I started a conversation with a woman, who was local to Copenhagen. We had a great exchange about what we did and why were visiting. Such a cool random thing to happen! She was so very nice as well. 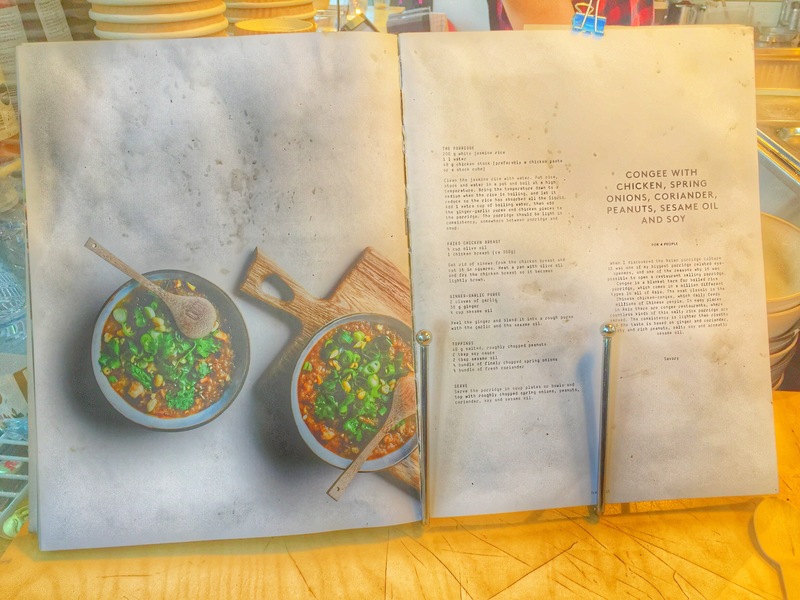 As we were walking away, I noticed that Grød had their cookbook up and open to the recipe of the dish I had just had: congee with chicken, spring onions, coriander, peanuts, soy, and sesame oil. Snap goes the camera, and the recipe came home with me. We didn’t get far walking though; there was a cute pastry place on the next corner. Guilty as charged!